The US Air force dropped pamphlets in Hiroshima warning people about the bombing. 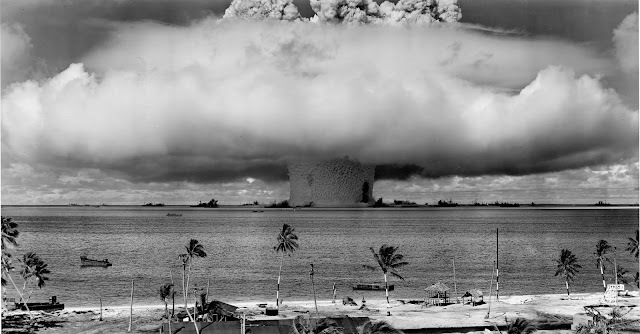 After the first atomic bombing in Hiroshima, one policeman from Hiroshima went to Nagasaki to teach Nagasaki police about evading the atomic flash. 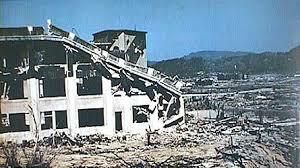 As a result of this not a single policeman died in Nagasaki's atomic blast. 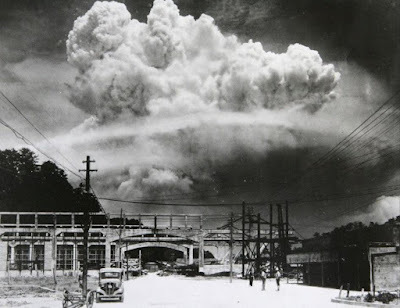 Tsutomu Yamaguchi survived the atomic blast at Hiroshima, he dragged himself into a shelter, spent a nigh there and in the morning took a train to Nagasaki so he could arrive at his job on time in Nagasaki, where he survived another atomic blast. Oleander is the official flower of Hiroshima as it was the first thing to bloom again after the atomic blast. Before the attack, Japanese radar operators has detected small number of incoming US planes (one of which carried the nuclear bombs to be dropped on Hiroshima and Nagasaki) but decided not to intercept them as small number of planes were not seen as a threat. Only 3 of the 12 people on Enola Gay (the plane which has bombed Hiroshima and Nagasaki) actually know the real purpose of their mission. The Gingko Biloba (species of a tree) rarely suffers from diseases or insect attacks, was one of the only living things to survive the Hiroshima nuclear bombing.These trees healed quickly and are still alive today. It took 3 hours for the Japanese Government in Tokyo to realise that US has dropped a deadly bomb over Hiroshima. US has dropped 49 practice bombs called “pumpkin bombs” which killed 400 and injured 1200 before dropping the real nuclear bomb on Hiroshima and Nagasaki. 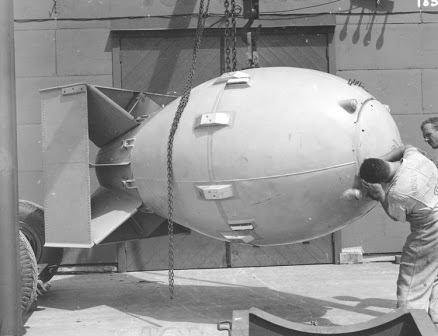 The bomb which was dropped over Hiroshima was given a code name “Little Boy” and a larger bomb was dropped over Nagasaki was called “Fat Man”. 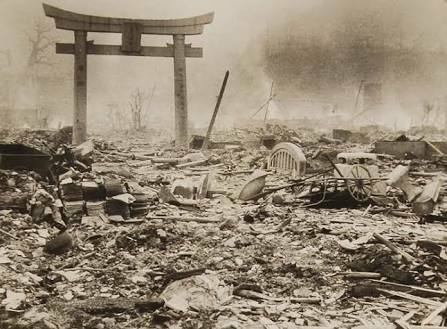 When the atomic bomb was dropped on Hiroshima the blast was of such intensity that it permanently burned shadows of people and objects into the ground. After the atomic bombing of Hiroshima, hundreds of people (many of them already injured) moved towards Nagasaki, of these 165 has survived both the bombings and lived to tell the tales. Godzilla was created by Japan as a reaction to the bombings of Hiroshima, the monster itself spawning as a result of the nuclear detonations of Hiroshima and Nagasaki. USA denied that atomic bombs has caused any lingering radio activity whatsoever, they called the claims as Japanese propaganda. Even New York Times ran an article with the headline “NO RADIOACTIVITY IN HIROSHIMA RUIN,” citing only military sources and ignoring eye witness accounts of radiation sickness. 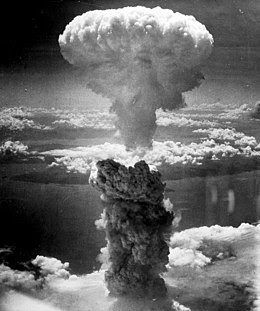 Kyoto was saved from atomic destruction by Henry L. Stimson. He was the Secretary of War at the time and he was an admirer of Kyoto as he had spent his honeymoon there previously. He was adamant that Kyoto should be removed from the list and hence on July 25, Nagasaki was put on the target list in place of Kyoto. Japan burned The Flame Of Peace in Hiroshima since 1964 in the honor of victims and this flame will be blown out only when all the Nuclear weapons are removed from the world and the Earth is free from Nuclear threat.